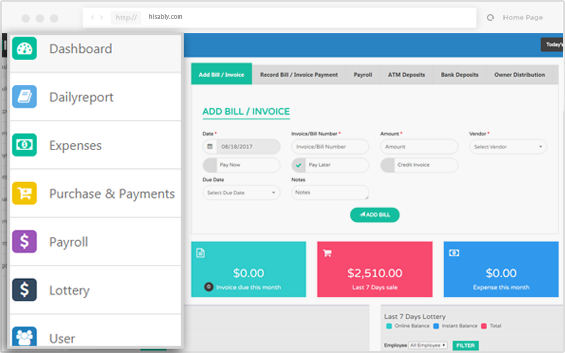 Hisably is an accounting software for convenience stores. Hisably is designed for traditional accounting applications as well as for lottery integration. An accounting solution for convenience stores with daily cash reports, lottery ticket scanning, reports & analytics, and more.